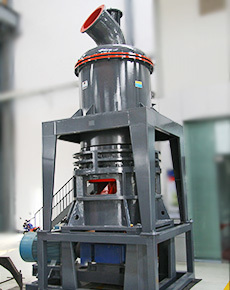 Crusher to break large stones into smaller ones. Suitable particles to be transferred to Raymond mill. Finished products, after being ground in the Raymond mill and separated by the classifier. Dust removing system should be equipped, to avoid pollution. Storage of finished products for packaging. The main component of limestone is calcium carbonate (CaCO3). Lime and limestone are applied in a lot of building materials. It is also an important raw material in many industries. Limestone can be directly processed into aggregated rock and calcined into quicklime. Lime are divided into two kinds: quicklime and slaked lime. 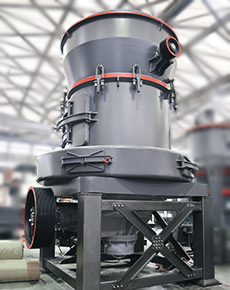 It requires the use of crushing and grinding equipment in limestone process. Widely used in paint, paper, paint, rubber, plastics, fillers, cosmetics, chemicals and other industries. The main component of limestone is calcium carbonate (CaCO3). 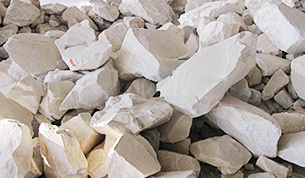 Lime and limestone used to do a lot of building materials, is an important raw material in many industries. Limestone can be directly processed into stone and calcined into quicklime. Lime are divided into two kinds: quicklime and slaked lime. Main application: PVC, pipe; wire and cable jacket rubber; PVC film (rolling film) production, making footwear manufacturing (such as PVC soles and decorative patch), etc. It is suitable for use in engineering plastics modification, PP, PE, PA, PC and so on. ② Rubber: Applications: natural rubber, nitrile, SBR, mix, apply to tires, hose, belt and oil seal, auto parts and other rubber products. Sealing adhesive materials: Applications: silicone, poly flow, polyurethane, epoxy structural adhesive seal. Coatings: Applications: water-based paint and oil paint. ⑤ ink: Applications: suitable for offset printing inks, gravure inks. Papermaking: Applications: cigarette paper, recording paper, book page printing paper, high brightness and high-end coated paper napkins, disposable diapers and the like.